This post was written by Stefani Konidis, a Realtor in the Greater Toronto area for over 14 years. Contact her on twitter: @stefanikonidis. Technology has given professionals and businesses the ability to be all things to all people. Everyone has heard the term “There’s an app for that!” Great, but human capital is still the way of the world and one needs to invest in people in order to be successful. But more than that, we need to slow down to make better choices about how our time is spent. There is no app for making more time! In many professions, the ability to multitask has become a line item on every resume, but this needs to stop. 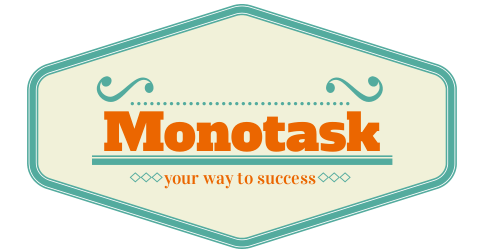 The ability to monotask needs to be perfected in order to be truly successful. People need to re-evaluate their strengths and focus on getting one thing done well, and then move on to the next task. Monotasking is a simple concept but one that is getting harder to achieve in everyday life. The term “time blocking” has also been used to describe doing one task at a time, something that seems almost foreign in this day and age. Laws have been put in place for the safety of society, legislating not to text and drive, with heavy fines for those ignoring the simple task to drive only. It is now more than ever that people need to get back to monotasking. Engaging in a single activity over a period of time is very satisfying, and by doing this, one can get into a “flow” and allow for creativity to happen. Starting on this path of monotasking will help get you back to basics and find what you are really good at. Figuring your strengths can seem like a monumental task — and it is. It is a challenge to be taken seriously. Start by researching yourself. A great place to start is to ask those who know you best to list three things you are really good at. Ask family, friends and even colleagues. Then, ask newly acquainted people what their first impression was. Does that first impression match up with what you’re good at? Why? Why not? Once you’ve determined what you’re good at — be it writing, training, engaging on social media, or setting up CRM-based marketing campaigns — you’ll know that’s what you should be spending your time on. And you’ll know what to delegate out to others. Once you figure out what your strengths are, the next step is to find people to fill in the gaps. The business you are running needs many skills and talents, and any successful organization is built on the strengths of its people. Once you’ve found people to bring on, remember also to ask for their input and help when making key decisions. By trusting in them, you are investing in their brand and talents. As important as it is to work with people with different strengths than you, it is equally important to find like-minded individuals. These people should have similar values and share a common vision. To find these people, it is vital to know yourself and find places and gatherings where you would want to spend your time. In a professional context, it could be at conferences or workshops on subjects that interest you or in courses on topics you find interesting and will help to grow your business. Further, online groups and blogs are a great way to broaden your tribe. Make sure to ask for references in this case. Moreover, ask for referrals from people you trust. Putting value in monotasking will start you on the road to figuring out your strengths. 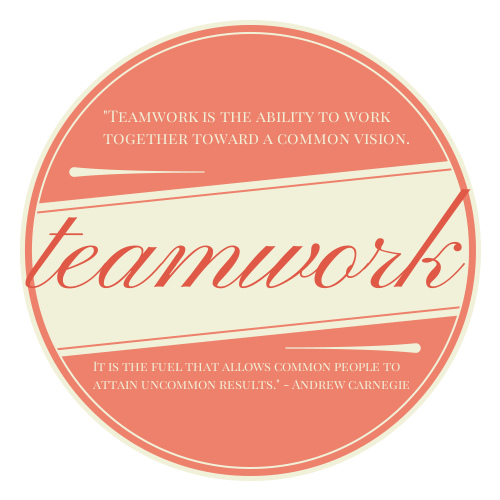 Building a team is a rewarding experience that can prove to have endless rewards.